Watch Tammy York talking about the inspiration for writing her book in the media player above. CINCINNATI -- Two years ago, I was going through some tough times, as life throws at you every now and then. Fortunately, I had good friends around and one gave me a copy of a local hiking guide as way to get me out of the house and out of my head. It ended up helping just as much as the weekly therapy sessions I was doing -- and for a fraction of the price. Over the years Tammy York , author of "60 Hikes within 60 Miles: Cincinnati ," has heard countless stories just like mine. Since publishing the first edition in 2009, and the second in 2014, people have approached her at book signings and events to share how the book inspired them. "There are people who have recovered from traumas that have happened in their lives or people who have reconnected with their family members," York said. "There are people who have proposed. So it’s amazing how much of a connection it has brought." One of her favorite moments was at a book signing, where a man brought a copy of her trail book that clearly was well-used. The nearly 300-page book was folded in half, dropped in creeks, muddy and the pages were warped with written notes. Turns out the man spent years taking his young son on hikes and after each trail they'd write down their experiences together. "How awesome would that be as the child to, years later, have that piece of memorabilia and look back at the times you spend with your family?" York said. York's inspiration for writing the book came from the never-ending search for a single trail book that encompassed the Tri-State area that didn't lead her on trails that were hours away from her home. She owned three hiking books, one for each state surrounding her: Indiana, Kentucky and Ohio. Most were too far away to do in a weekend or a day with her family. So the Indiana native and now longtime Cincinnati resident decided to write her own. York spent eight years searching for a publisher to take an interest in her project. Menasha Ridge Press' line of "60 Hikes within 60 Miles" turned out to be a perfect match. 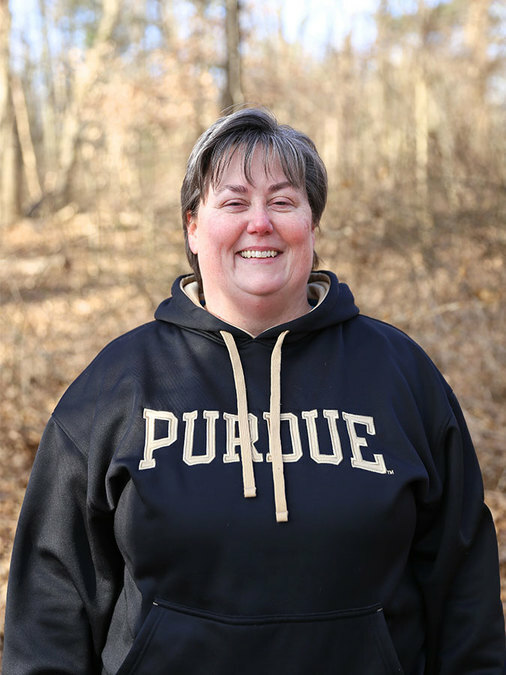 A naturalist herself with a bachelor's degree in Wildlife Management from Purdue, York spent two years researching local trails and conversing with colleagues about their favorite places and nature sites in the region. Each trail listed in the book has a detailed description along with a map, directions and GPS coordinates and photos. "The idea is to give people a variety of places to hike both rural hikes and urban hikes," she said. "Hikes where they're doing trekking up hills and down hills, crossing creek beds, just to show them the variety that we have in the area." Some of her favorites over the years include the Cincinnati Nature Center, Caldwell Nature Preserve and the Muscatatuck National Wildlife Refuge. But above all her main goal is safety, which is why she re-hiked and re-selected trails for the second edition of "60 Hikes within 60 Miles: Cincinnati." "Since the trails will change so frequently there are a lot of differences between the first and second edition," she said. "The facilities in charge of maintaining them don't have the funds to maintain them. It's really sad because a lot of the trails I wanted to include in the book I couldn't because they're basically briar patches." Another important factor is to make sure all of the trails are family friendly. "I had to feel comfortable with anything I put in it that I could send a mom with two small children and feel OK that they would be safe and enjoy themselves." A meet and greet with York will be held from 6:30 to 8:30 p.m. Friday at The Benchmark Outfitter store in Blue Ash, where she will be autographing books and taking questions from fans and fellow hikers about the second edition of her book. You can't put a price tag on reconnecting with nature in my opinion, except the $18.95 for "60 Hikes within 60 Miles: Cincinnati" -- which my experience has shown to be well worth the cost. Emily Maxwell is a photojournalist for WCPO.com. Follow on Twitter at @EmilyWCPO or see more from Wild Cincy on Instagram at @wildcincy . Be sure to join the conversation in the Wild Cincy Facebook Group too.